A German man who was mistaken for a terrorist and abducted nine years ago has won a measure of redress when the European Court of Human Rights ruled that his rights had been violated and confirmed his account that he was seized by Macedonia, handed over to the CIA, brutalised and detained for months in Afghanistan. In a unanimous ruling, the 17-judge panel in Strasbourg, France, found on Thursday that Macedonia had violated the prohibition on torture and inhuman or degrading treatment in the European Convention on Human Rights and ordered the country to pay the man about $US78,000 in damages. 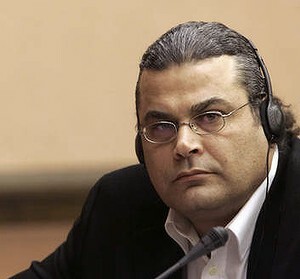 It was the first time a court had ruled in favour of the man, Khaled al-Masri, 49, in a case that focused attention on the CIA's clandestine rendition program, in which terrorism suspects were transported to third countries for interrogation. The decision, which Amnesty International hailed as ''a historic moment and a milestone in the fight against impunity'', is final and cannot be appealed. The CIA declined to comment. A lawsuit against the US filed on al-Masri's behalf by the American Civil Liberties Union was dismissed in 2006 on the grounds that it would expose state secrets. The group filed a petition in 2008 at the Inter-American Commission on Human Rights in 2008; the US government has yet to respond. Al-Masri, who is of Lebanese descent, was pulled off a bus at the Macedonian border on New Year's Eve in 2003 after guards confused him with an al-Qaeda operative who had a similar name. He was taken to a hotel in the capital, Skopje, and locked in a room for 23 days. His detention, along with the threat that he would be shot if he left the room, ''amounted on various counts to inhuman and degrading treatment,'' the ruling said. When he was handed over to the CIA rendition team at Skopje airport, he was ''severely beaten, sodomised, shackled and hooded'' in the presence of Macedonian officials, the ruling said, a treatment that ''amounted to torture''. After more than four months, he was dropped on a roadside in Albania. His German lawyer, Manfred Gnjidic, said his mental state had suffered not only from the abuse but the ''nine years of constantly fighting, being called a liar, a terrorist, an Islamist, a hardliner''. Al-Masri is serving a prison sentence on unrelated charges involving a 2009 assault on the mayor of Neu-Ulm in Bavaria. Mr Gnjidic said he had written to the German Chancellor, Angela Merkel, asking her government to appeal to the US government on al-Masri's behalf and to see what could be done on the German side to help him. He said the European ruling ''sends the message to European nations that they have a heightened obligation to investigate their complicity and co-operation with the illegal CIA extraordinary rendition program''.